Click here to learn how you can receive disbursements from Amazon US. We are proud to announce that Amazon has selected Payoneer as the featured payment solution in Amazon Seller Central Europe. Sellers in 24 different countries around the world now see Payoneer as the only payment option within Amazon Seller Central Europe, making it easier than ever for them to receive Amazon disbursements in EUR and GBP and access their funds. It’s simple to set up and allows you to withdraw your earnings to your local bank account or to the Payoneer Prepaid Mastercard®, which you can use at ATMs, in stores, or online anywhere Mastercard® is accepted. 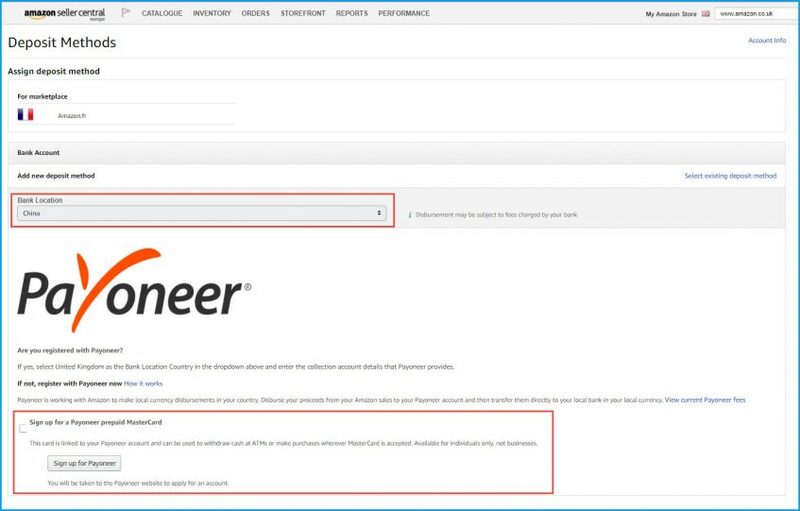 Read the step-by-step instructions to learn how you can easily select Payoneer as your preferred payment solution with Amazon Seller Central Europe. To get started, log in to Amazon Seller Central Europe. 1. At the top right side of your screen, click Settings and then select Account Info from the drop-down menu. 2. Click on Bank Account Information under the Payment Information section. 3. On the Deposit Methods page, locate the Amazon site in which you have a store under Un-assigned Marketplaces and click Assign. 4. Click on Add new deposit method. 5. From the Bank Location Country drop-down list, select the country in which you live. After you’ve selected your country, two options are presented: one for existing Payoneer users and one for users that have not yet signed up to Payoneer. Already have a Payoneer account? Simply enter your payment details. 1. To locate your payment details, log in Payoneer, go to the Receive menu and then select Global Payment Service. 2. Click the currency you want to add (EUR or GBP). Enter the highlighted details in the Global Bank Account Information page. 3. 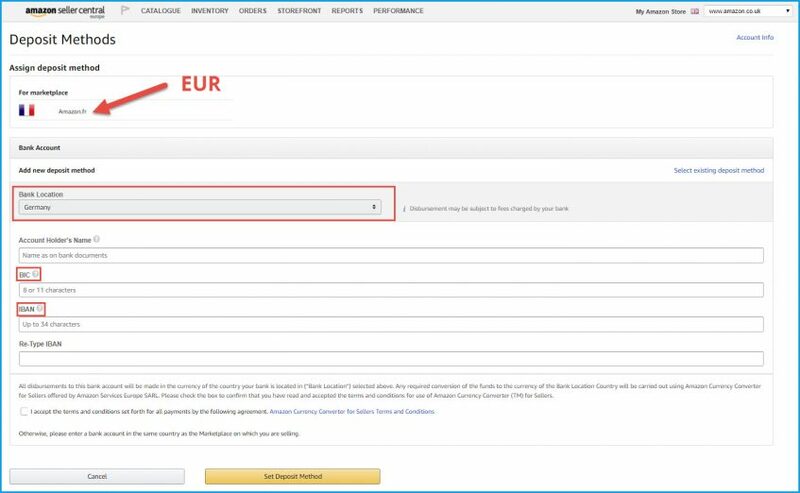 Log back in to Amazon Seller Central Europe and access the Global Bank Account Information page for your store. 5. Fill in the details as displayed in your Payoneer account and click Set Deposit Method. If you have more than one marketplace, repeat these steps for each one. At this point, existing Payoneer users are all set to receive Amazon disbursements. Don’t yet have a Payoneer account? You will be prompted to set one up. 1. In the Bank Location Country field, select the country in which you live. If you would like the flexibility of withdrawing your money at ATMs or spending funds online and in-stores, click the check box labeled Sign up for a Payoneer Prepaid Mastercard. Please note that only individual sellers (not companies) are eligible for the Payoneer card. If you prefer the ease of receiving funds to your local bank account, leave this check box blank. 3. Click Sign up for Payoneer and follow the on-screen instructions. You will be redirected to the Payoneer sign-up application process. 4. After your Payoneer application is approved, you will receive an email containing your Global Payment Service details. Enter these details in the Global Bank Account Information page as explained above. Amazon will now disburse your funds to your Payoneer account. To view your disbursements, log in to Payoneer. Click Activity from the menu and then select Payment History. 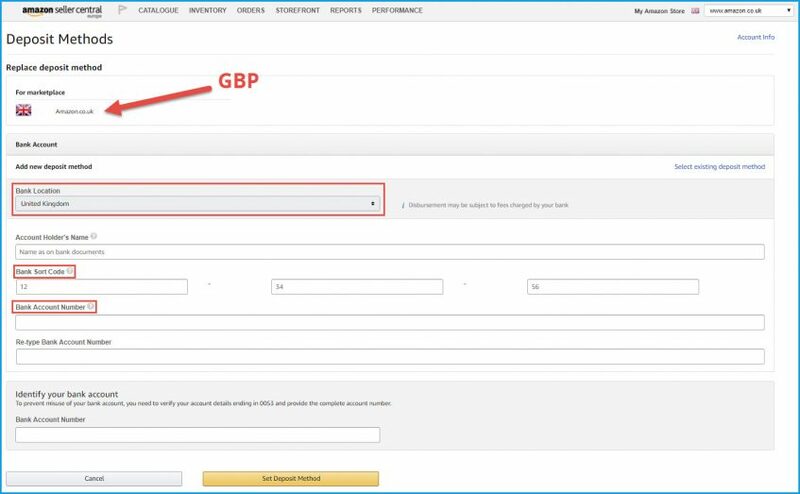 When you are ready to access your Amazon earnings, click Withdraw from the menu and select To Bank Account. If you have selected to receive the Payoneer Prepaid Mastercard®, the funds will be automatically loaded onto the card. Do you need to pay suppliers or contractors? With Payoneer you can easily send funds to anyone with an email address by clicking Pay from the menu, selecting Make a Payment and following the on-screen instructions. Need to receive disbursements in USD? Click here to learn how to set up your Amazon account. For additional assistance or if you have any questions, please contact our Support Center.